Please fill out the form below and send us your company details for review. We will respond you shortly. A2Z Kits and Enertec Services is a Joint Venture private establishment which belongs to Enertec Group of companies. 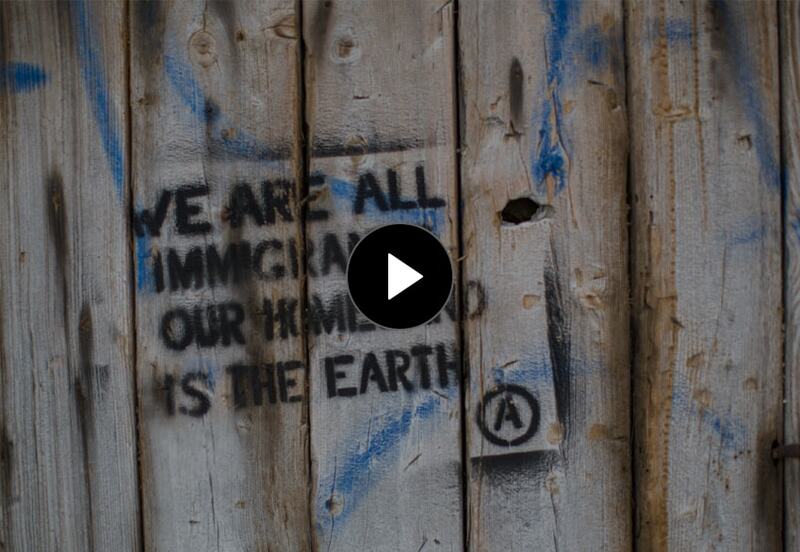 We are created to give a shape to ideas which are changing this world for the better. Keep reading to learn a bit more about us. Please fill out the form below and send us your inquiry. We will send you our quotation shortly. Hygiene dignity kits and survival kits for refugees and homeless people are designed for those who suffered in war, natural catastrophe or humanitarian emergencies globally and who need essential hygiene items. A fast and efficient response to an emergency situation is vital in order to help people who have suddenly lost everything. We have developed a complete collection of kits that cover the basic toiletry needs for children and adults. The standard kits for man and woman contain the following items: washing powder in plastic bag, underwear – a set of 2 pieces (male / female), shampoo (normal hair), toothpaste, toothbrush, antiseptic hands soap, disposable razors, shaving cream, face and hands towel, nail clipper, hair brush, hand sanitizing gel, cotton socks, flash light (solar energy power), cotton under-scarf, small fleece blanket, glycerin skin oil, bucket, whistles, packing bag with your company logo. Each kit can be customized as per a client’s specification. Our amenity and welcome kits for hotels are developed with care each detail and based on the tastes of its distinguished clients, with the firm intention to offer kits with which you can distinguish and provide to your guests with an exceptional experience. All the toiletries designed to compliment a wide range of design styles and decors. High quality products, crafted vegetable based soaps and unique packaging all combine to leave a lasting impression with your valued guests! Our products include: guest amenities sets, dental kits, shaving kit, sewing kits, slippers, soap, shampoo, bath gel, body lotion, conditioner, shower cap, comb, shoe shine, shoe mitt, cotton buds, cotton balls, sanitary bags, nail files, loofah, stirrer, cup cover, coasters. Each kit is customized as per a client’s specification. Airline amenity kit is the total package of personal care items that carriers provide to passengers on long distance flights. Our kits contain not only a collection of small, travel-pack sized toiletries but a lot of other useful items like earplugs – all neatly packaged into an aesthetically pleasing vessel. What makes these little packages extra special is that the wildly successful ones give off an essence of exclusivity, high value, and utility at just the right time. 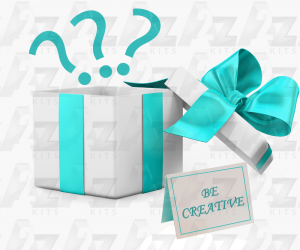 Each kit is containing a personalized card with your company logo and a note “Welcome Aboard”. The standard kit contains: toiletries (toothpaste, toothbrush, shaving kit, body lotion), hair brush, pen, cotton pads, earplugs, ear phones, hairbands, socks, eye mask, gum, cleansing cloth, lip balm, tissues, hand cream. These can be packed either in a bag or case. The best way to make your clients happy is to use high quality spa salon amenities. The best way to prevent spotting on the clothes of your valuable clients is to use only disposable items in your salon. We offer a wide range of amenities and disposables for spa and beauty salons so you can keep your salon fully stocked. 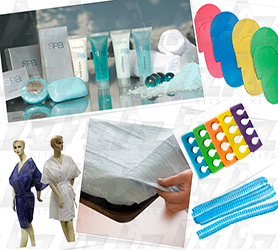 Disposable spa apparel like underwear, and other disposable supplies such as face gauze, pillow cases, bed sheets, bouffant caps, kimono robes, face rest covers, non-woven face masks are just a few of the products we offer. You will appreciate our high-quality salon disposable supplies offered at affordable prices. Childbirth is a special moment for the whole family and especially for the parents of the newborn baby. This is the time when everything around is special and the feeling of miracle is flying in the air. We have designed a special maternity bag for newborn’s mother so as not to spoil such a miracle moment after so many months of anticipation. The standard Maternity Bag contains the following items: toiletries (shampoo, shower gel, toothpaste, toothbrush, comb, cotton pads), baby’s first care sample pack, bib, cap, mittens, hooded towel, pacifier, a set of toiletries for baby, nappies kit for baby, marketing booklets. 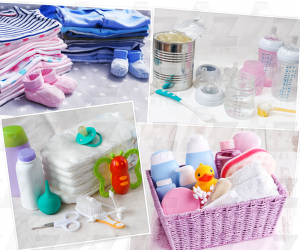 All the items are neatly packed and organized in our Maternity Bag, making the newborn’s mums very happy and pleased. Our customized outpatient/inpatient hospital kits will let your patients feel like at home when they are admitted to your hospital. Each kit is presented in an attractful bag in order to give a nice impression about the your clinic. With our kits your patients will receive an incredibly customized care which will positively influence their recovery. Each kit is designed with the logo of your clinic and contains a special card with the words “WE CARE”. The advanced kit for adults contains the following items: personalized PVC bag with cap, disposable robe and slippers, disposable boxers, gel/shampoo, hair conditioner, body lotion, soap, tooth-brushing set (toothbrushes with toothpaste), comb, soap with soap holder, cotton swabs, shoehorn, nail file, bags for the patient’s clothes and shoes, and hospital information (outpatient information card/ welcome card and patient guide). 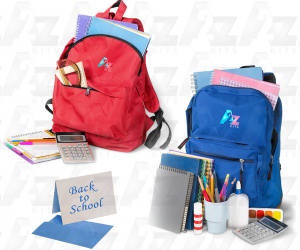 Promise kits and school bags are made especially for children, which had to fleet from their homes because of an emergency situation like a war or natural disaster, to help them to get access to an education during emergencies. Unfortunately due to the nowadays situation in the world such cases are not seldom, a lot of kids had to put their education on hold. A child’s education is in the bag, and we can help them to make their future brighter. The school bags contain the most important for education items: pens, pencils, a sharpener, exercise books, rulers and a portable chalkboard. By assembling a school bag for children we help them to start to look forward to a better future. Delivering a child in emergency situations when the family is forced to flee their homes and out of sudden is left without a shelter, enough food and major utensils is very challenging for the whole family, especially for the mother and a newly born baby. Understanding such situations we have created a special kit covering the main needs of the first months of life of the child who have to be born in severe conditions. The kit is full of practical items for the newly born baby, such as: seasonal clothes, toiletries (shampoo, soap, body oil), nappies, towel, baby care items (brush, toothbrush, comb, syringe, nose cleaner, nail clipper, scissors), rattle toy, teether, pacifier, cap, bib, bottles for feeding, baby formula (if required), wet tissues, socks, woman toiletries and care items. Unfortunately in emergency situation when people lose their homes and out of sudden have to stay without a shelter, they lack the basic utensils they need to cook. Our kitchen kits perfectly suit to cook meals in camp conditions, ensuring subsistence for families who find themselves in emergency situations. The standard kit consists of the following utensils: 3 pots, 2 frying pans, 1 saucepan, 5 bowls, 5 plates, 5 cups, 5 spoons, 5 forks, 5 knives, 1 kitchen knife and 1 wooden spoon. 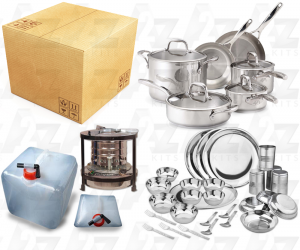 The set is made in stainless steel or aluminum (upon request) and packed in a carton box. Additionally and upon request can be supplied the following items: jerricans, foldable buckets, kerosene cooking stoves. These kits are designated specially for women, which are in need of support as a result of poverty, abuse, jail, trafficking, or disaster. As they start the process of rebuilding their lives towards a brighter future, many go to safe houses or shelters with nothing but the clothes they are wearing. By assembling Women’s Hope Kits, you’ll help distressed women in their recovery process by providing encouragement and practical comfort. The kits are totally customized and can be assembled as per your requirements. The standard kits contains the following items: feminine hygiene products, shampoo, shower gel, deodorant, brush, comb, nail clipper, hand lotion, toothbrush, toothpaste, razor, sanitary napkins, notebook and pen, hair ties, lip balm, cosmetic tote, washcloth. Soldiering in all terrains and climates, the army has mastered the skills and tactics necessary for overcoming some of the toughest situations imaginable. While few of us civilians will ever have to endure such rigorous tests of our survival skills, that doesn’t mean we still can’t benefit from military know-how. The Army Survival Kit is loaded with essential gear perfect for campers, hunters, hikers, and others who love the outdoors challenges. It includes a one-quart canteen in a lined pouch that fastens easily on a belt; a combination compass-whistle that can help you find your location and alert others; waterproof matches useful in inclement conditions; a pocket-sized emergency blanket and hand warmer; and a handy storage pouch for all of your kits components. For occupations and situations requiring ample first aid supplies, our emergency medical kits include products for treating various injuries. 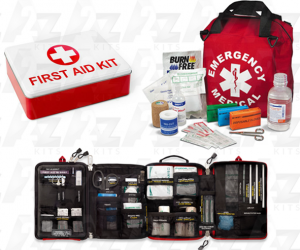 Upon request of the client we can provide First Aid Kits of various brands. 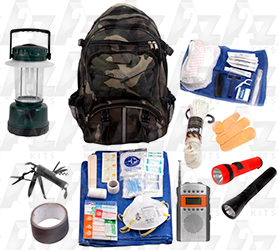 Our bestseller kit has over 120 items packed in a cordura bag with Major Emergency Medical Kit carrying handles and two D-rings. Cordura is a water repellent combination of canvas and plastic. The bag contains: emergency blanket, trauma dressing, kerlix, bloodstopper compress, surgipads, rescue blanket, eye wash, co-flex bandage, sodium chloride, disposable gloves, gauze, woven stripes, eye pads w/adhesive strips, utility shear and many other items. Whatever you have in your mind, whatever requirements you have, our professional team will give a creative design and shape to your ideas and make sure that you are totally happy with the final results. We like the challenging tasks; our team is working hard for client satisfaction. We are pricewise and client oriented company. Our valuable clients feel comfortable to work with us, they can easily rely on us because we proved our reliability in practice by showing high results which makes us to be proud of our work and gives us the motive to show better results. If you didn’t find the kit you are looking for on our website please feel free to contact us with your inquiry and we will respond you shortly. Our vast network of overseas offices currently export over 36 food products & agro commodities to more than 17 countries. Our valued customers enjoy benefits of constant and regular prices, shipments and flexibility. Our strong reputation and experience in the market guarantee that our clients receive high quality products with the best competitive prices. 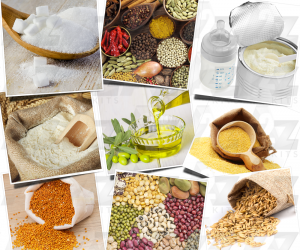 Here is a list of main foods, supplied by us on a regular basis: sugar, grains (wheat, corn/maize, barley, rye, oats, rice, sorghum, buckwheat, millet), tea, flour (wheat flour, corn flour), spices (cumin, sesame, black pepper, caraway, cloves, coriander, nigella, turmeric), pulses (lentils, beans, peas, chickpeas), powdered dairy products, specialized nutritious foods, baby formula milk, yeast, guar gum and emulsifiers, vegetable oil (corn, sunflower, canola and other), olive oil, olives and other. We are proposing a wholesale and mass production of a wide range of products suitable for souvenirs, business and corporate gifts, merchandising items as well as mass production of any items suitable for promotional events, corporate giveaways, special events and occasions. 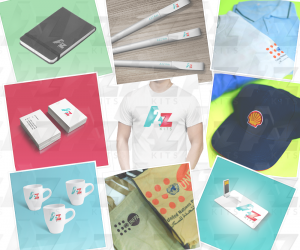 Here is a list of items we are proposing: USB products, pens and pencils, clocks and watches, calendars and diaries, key holders and lanyards, clothing, mugs and drinkware, name badge and pins, desk and office gifts, corporate gifts sets, Ramadan gifts, ECO friendly gifts, bags and cases, etc. We are full of new ideas to meet your challenging requirements. 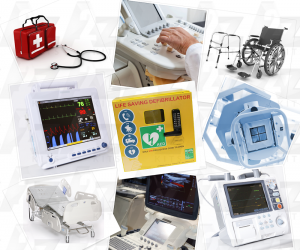 Our objective is to work hand in hand with our partners in healthcare industry by supplying high quality medical equipment with competitive prices and earth friendly consumable items for Medical, Laboratory and Dental industries. We have the ability, credentials and marketing capabilities to assist global companies in facilitating and promoting international business development, through sales representation using our marketing and business expertise through our local network of affiliates in our area of coverage where we have particularly strong experience and extensive network of business associated and contacts. The companies represented by us are reputable and internationally recognized with an interesting and wide product rage. Our portable instant domes and portacabins can provide a shelter for camping, hunting, military command centers, disaster relief, temporary labour lodging even as a bugout shelter for the doomsday prepper in you. Made of a high-tech aerospace composite material, the shelters are built to sustain hurricane strength winds or earthquakes and insulated to stay warm in extreme arctic sub-zero degree weather or cool in hot desert climates, these portacabins can be assembled in just a few hours by three untrained people. 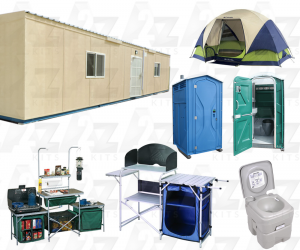 These shelters are not only ideal for research needs, quarantine shelters, and emergency relief situations but will satisfy the needs of Homeland Security, the Military, Labor Housing, Homeless Communities and many more. The new office structure that you are designing, remodeling or building needs to keep air in and the elements out. It needs to withstand the seasons, along with rapid changes in weather and temperature. The products and materials you choose should be easy to install, low-maintenance, and last for a long time. You also want to choose products that are aesthetically pleasing for the outside of your building, giving it an impressive, yet functional, façade and looking elegant and nice from inside. This is where we can help. 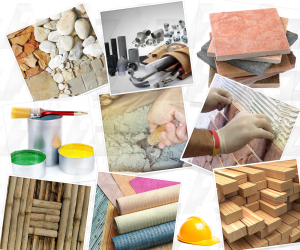 We are supplying a wide range of construction finishing materials from reliable manufacturers all over the world. The quality of our materials is very high and the prices are very competitive. 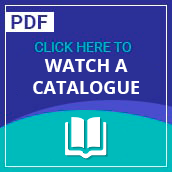 We can help you to choose the right products, materials, and solutions that will meet your specific requirements and will contribute to the long-term sustainability of the structure. Cements used in construction can be characterized as being either hydraulic or non-hydraulic, depending upon the ability of the cement to set in the presence of water. Hydraulic cements (e.g., Portland cement) set and become adhesive due to a chemical reaction between the dry ingredients and water. The chemical reaction results in mineral hydrates that are not very water-soluble and so are quite durable in water and safe from chemical attack. This allows setting in wet condition or underwater and further protects the hardened material from chemical attack. 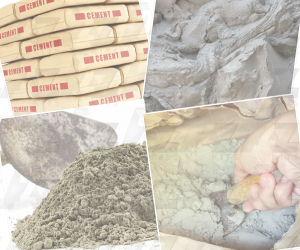 We are a wholesale leading supplier of Portland cement in the Middle East and Far East areas. Being part of ENERTEC GROUP of companies and in cooperation with our partners whom we are representing in the Middle East we have a specialized team with vast experience to do all the procurement work that is related to supply of different range of Mechanical and Electrical Equipment and Materials which is including, but not limited to: Valves, Pumps, Pipes, Fittings & Flanges, Bolts & Nuts, Gaskets, Cables, Enclosures, Lighting Fixture & Accessories, Transformers, LV/MV Switchgears, etc. For more information you can visit the website of ENERTEC GROUP of companies, which is www.enertec-co.com. ENERTEC enjoys a superior competitive position for the provision of EPC services in Oil & Gas and Energy sectors being a global contractor with strong local presence in the Middle East and North Africa. 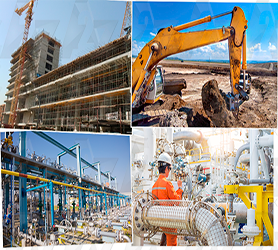 Along with taking up all Mechanical Works for Power and other Industrial Plants, we enhanced our activities by entering in the field of construction of civil works for buildings, bridges, structural steel works and other related civil construction works including foundations and super structural works for different type of industries including Fertilizer Plants, Aluminum Plants, Petrochemical Plants. The construction techniques, we are using, include latest technologies for maintaining high quality standards. With the emerging global demand for energy, ENERTEC’s use of the latest technology and ability to deliver value has made us one of the fastest-growing members of the construction market. We have set our sights on contributing to a sustainable future which aligns with our goal of environmental stewardship. 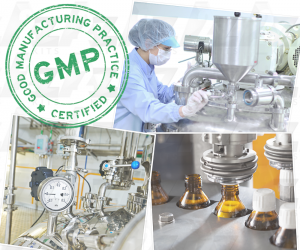 Our Process Services expertise gets you online quickly and eliminates leaks and other startup problems while enabling you to meet your product purity specifications. We offer you engineered solutions with specialized services for the oil and gas, power generation, metals and mining, and other process industries. Our integrated package of services include: food and beverage production and packaging, pharmaceutical and cosmetics GMP plants, fertilizer and detergent production line control and instrumentation, domestic and industrial waste water treatment plant, drinking and ultra pure water production and control, etc. 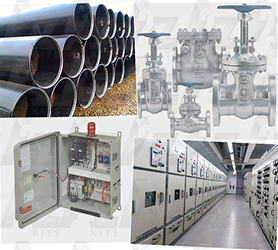 By packaging these services together and managing the whole precommissioning process, you can optimize utilization of people and equipment, reduce overall cost, and decrease system startup time. For plant turnaround, our services minimize outage time while improving plant efficiency. 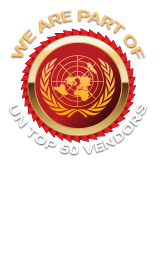 Why we are in the List of TOP 50 Vendors of UNFPA? The reason is because our team is working hard for client satisfaction. We are pricewise and client oriented company. Our valuable clients feel comfortable to work with us, they can easily rely on us because we proved our reliability in practice by showing high results which makes us to be proud of our work and gives us the motive to show better results. Working in response to war, major disasters and humanitarian emergencies we understand how much it’s important to deliver “yesterday” the first aid and relief items to the exposed areas. Proposing the best delivery time initially, our team is always working hard to improve it even after placing the order with us. That’s is why 56% of our orders are delivered well ahead the contractual delivery time. We are proud of our hardworking team. We are not just supplying, we are manufacturing. 23% of our high demand products are manufactured at our mill. This helps us to respond quickly to the demand, to control the delivery time and to meet easily the product specification, especially when the product is out of the standard range and the customizing is required. This is our absolute preference in comparison with the other suppliers who are just buying and selling the products to their clients. High quality is not our benefit, it’s the matter of principle for us, which goes without saying. Even if in terms of a low budget the client‘s specification of the product is demanding the middle quality, we are still proposing the best. And it’s not only about the reputation of our company which is definitely our priority, t’s mainly about the moral code which is our face. That is why 36% of our supplied materials are higher in quality then required by our clients. PO Box: 126228, JLT, Cluster G, JBC 1 Building, office 2005, Dubai, UAE. Please contact us directly via the contact details mentioned above or fill in the form below and we will respond you shortly.